Ok Jonathan, I knew how to create the sum for each part, but how do I display the total of ALL columns? Look foreard to your response on your GREATTTTTT site. You may not be able to do it "in the part list". But you can insert the mass field into a text box. That would give the total mass for an assembly. Could you 'Roll up' the parts list to get the values you are after? This video was helpful but only partially helps me with my problem, might you be able to tell me how to sum up an entire columns values? I am trying to find the total weight of my total assembly. Have you tried inserting the iProperty for mass from the assembly onto the drawing? That would get that value. Paul from "The CAD Setter Out" had a suggestion from the blog post above. Make an Iproperty Mass total from data exported from a parts list to an excel spreadsheet? Is that what youre saying I should do? Yes I watched that video and tried that method, it made a total mass from the total number of parts used in each row. This came from autodesk, i tried it, instruction# 2 was a bit unclear to me, i typed and pasted mass roll up in each row, and ultimately had no result. 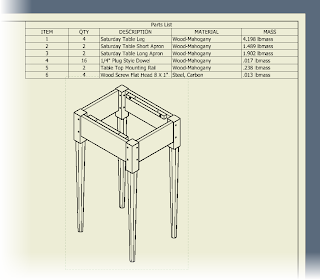 How to add total mass of the entire assembly including the parts in the partslist of Inventor. To create a total mass for an assembly in the partslist. 2. Right click any column to customize. Add Category and Mass as an additional columns and then add "mass roll up" as value in the entire Category column. 3. Create a partslist with Category and Mass column added to the partslist. 4. Edit Partslist and select group settings. Select Category as the First Key. Click Ok.
5. Right click on the Mass and choose Format Column. 6. Under Substitution tab - Enable Value Substitution - Select Mass under use the value column. 7. Under values used - select Sum of values. 8. Select Apply unit formatting and Click ok.
9. Total Mass of the assembly is added to the Partslist. Is this the correct proccess for me to add total mass in an entire column? Dreamcharger, look at the post dated 11-March-2012. At the request of a few I created a video showing how to place the total weight on the drawing. It's not in the Parts List directly but it can be placed on the sheet with it. Also, it appears that the directions from the Autodesk website are the textural instructions for the summing each row of the BOM. Similar to what's shown in the video on the post. So i got the above mass roll up to work but only if I delete my w flange 12x30 beam from my assembly. And its a standard library part, additionally I have nuts from the library that wont participate in the mass roll up. have before and after dual monitor screenshots. DreamCharger, I'm sorry but I didn't see this post (It's not always easy for me to keep up with blog comments). It looks grouping, you can choose, or create a common parameter that would "collect" similar components. There's a link at wikihelp here. As for your templates. You would create the "base" shape and save it in your template directory. The Geeks at ECAD Inc have a nice video that shows how to add the parameters to the file and the part list. One last thought on grouping (had an idea "spark"). If you're grouping walls, floors, etc. 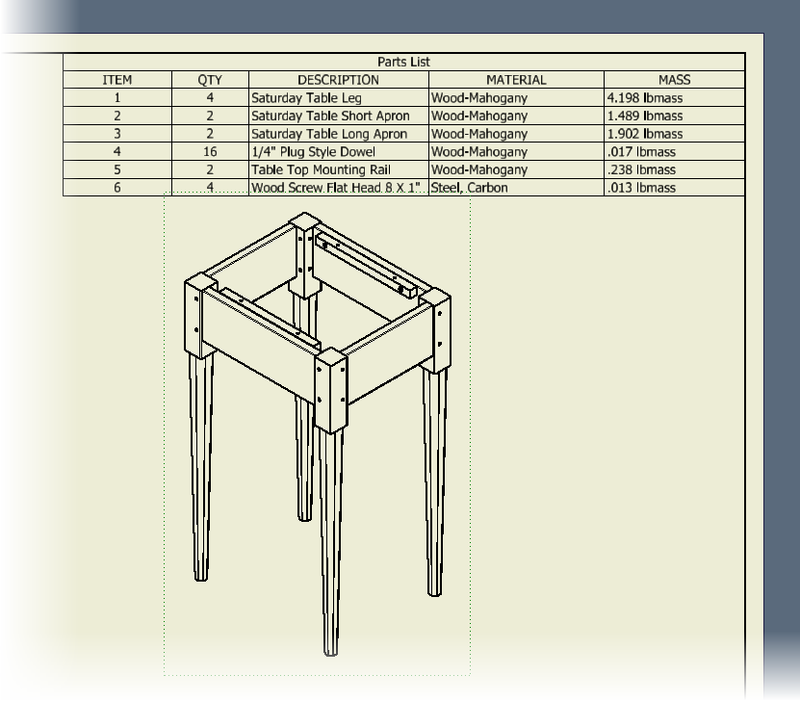 by subassembly, you might try placing a "parts only" parts list. It would also collect like components. Great site, a thousand thanks for helping the likes of me get a little smarter!